A GelTouch™ layer provides a cooling sensation and greater conformability. 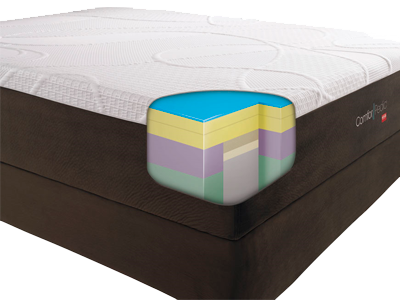 Features a GelTouch™ layer added to Advanced NxG® Memory Foam for a cooling sensation and greater conformability. Inner layer of latex foam for the perfect blend of comfort and support.